For further information about our boarding kennels and cattery facilities, please get in touch with us today. You could contact us using one of the telephone numbers underneath our address or via our contact form. We aim to reply to all queries within 24 hours. Thank you. 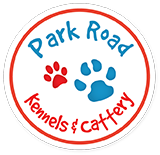 © Copyright 2019 Park Road Kennels & Cattery. All rights reserved.